Volunteers are the foundation of all we do! We are so fortunate to have incredible people giving their time and their talent to make Middlesex County a great place to live, work, and play. Our volunteers serve on our Board and committees, provide administrative support in the office, and plan numerous events and forums to bring the community together to address a broad array of issues and needs. We appreciate all our volunteers – and volunteers throughout out Middlesex County who give time and talent to all our nonprofit organizations. You truly are “Good People Doing Great Things!” We held a special “thank you” celebration for our volunteers … enjoy the highlights! Beyond the Grant – a special message from Pay Forward, Inc.
Pay4ward.org is a non-profit organization reintegrating combat vets into society through sailing. Day sailing in an open boat requires teamwork and communication. It involves shared physical activities and develops camaraderie for the vets involved. Ray Hayes, a Vietnam Veteran, understands the importance of shared experiences, shared activities, and creating links and lifelines in everyday life. Through his organization, he has taken more than 120 individuals, active duty personnel and veterans, on day sails on Long Island Sound. We are honored to support Pay4ward and the important program they offer our local veterans. Take a moment as Ray shares how CFMC and its Nonprofit Resource Center helped his organization do more and serve more. Kate’s Kids Camp is a comprehensive summer arts day program that began in summer 2013 through collaboration between The Katharine Hepburn Cultural Arts Center and the Community Music School. It is focused on families seeking to nurture their children’s creative potential through the arts. The students in the 2018 camp created a special Thank You to the Community Foundation and our generous donors for the ongoing support of the camp. Be sure to watch it through to the very final second for an extra special message to CFMC and our friends and supporters! REACT (Reality Even Affects Clinton Teens) has a lot of fun promoting healthy decision making and preventing substance abuse in their peers! CFMC was proud to support this great group of teens through a 2018 grant. Check out their Thank You video to the generous, caring donors of CFMC who helped impact their lives. High school students are under enormous stress during their junior and senior years in high school. They are trying to get good grades, apply and be accepted into the best colleges, and participate in sports, band, theater, student government all while trying to be the “perfect kid”. A grant from the Sari A. Rosenbaum Fund for Women & Girls helped students at the Durham-Middlefield Youth & Family Services take a breath and take time for themselves in the “Drop and Give Me Zen” program. Students learned positive coping skills; how to identify stressors and responses to help ease stress; and create a supportive community of peers for support and friendship. Everyone is a Philanthropist – at the Community Foundation, we know that TOGETHER we can and do make an impact in our community every day! Stand Together for Change – Campaign for Bully-free Communities (Council of Business Partners at the Community Foundation of Middlesex County) vows to be an Up-Stander, rather than a by-stander, and stand against bullying. Take the Pledge at bullyfreemiddlesexcountycf.org and share this with friends and neighbors – and challenge them to Take the Pledge and Stand Together for Bully-free Communities. Community Foundation of Middlesex County was joined by the PBA Bagpipe Band, Rich and Joan Tomc, David Director, Mayor Dan Drew, Larry McHugh of the Middlesex County Chamber of Commerce and friends and neighbors for the official ribbon cutting ceremony at 49 Main Street, Middletown, in May of 2017. We are deeply grateful to the Tomc Family for their generous gift of our new home! Stop by and visit any time. Imagine making an impact in your community … forever! 5% is a small bequest – a small gift, when added to other gifts of 5%, that over time grows into an incredible legacy for generations to come in Middlesex County. To Learn More and make Middlesex County an heir, contact us – we welcome conversations with Good People Doing Great Things. The Council of Business Partners at the Community Foundation of Middlesex County established the “No Bully Zone,” an initiative created in partnership with Rushford and launched in Middletown middle schools. One of the ways this program has made an impact was the creation of a short video portraying messages from students. They shared their thoughts on the various degrees of bullying, what it feels like to be bullied, and the impact on students’ lives. This video and a companion-piece, “No Bully Zone” Program Curriculum is avaiable to teachers and organizations working with children to stop bullying. For more information on the “No Bully Zone” program and the Community Foundation of Middlesex County’s Council of Business Partners, contact the Community Foundation of Middlesex County, Middletown, Connecticut. 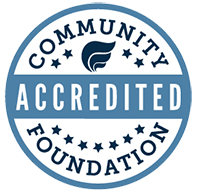 Community Foundation of Middlesex County (CFMC) is all about Living Local and Giving Local. A community foundation is community philanthropy at work. Whether you know it or not, you have probably been touched in some way in your community by a community foundation. Take a few minutes to hear from some of the donors and nonprofits who work with and through the Community Foundation of Middlesex County to “Help Good People Do Great Things.” Our thanks to OverAbove for their assistance in creating this video highlighting Good People Doing Great Things in celebration of our 15th anniversary in 2012.